MIAMI - April 18, 2017 - PRLog -- Brian Person has been given the April 2017 Most Valuable Father Award from the Fatherhood Task Force of South Florida, announced Holly Zwerling, President and CEO. 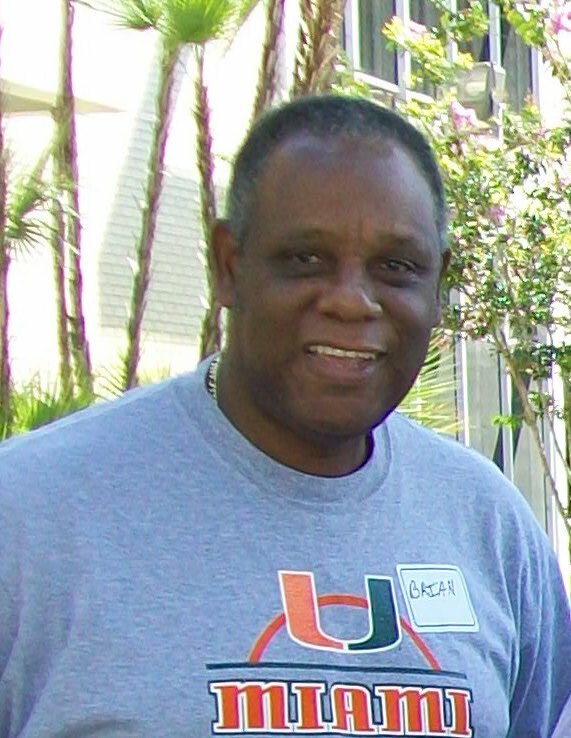 Person, a community-based Big Brother for Big Brothers Big Sisters of Miami for twenty years, was the thirteenth of fourteen children and grew up in Miami, Florida. Being near the bottom of the birth order, he believes that he was fortunate to have been impacted by twelve siblings in their own special way. Although neither of his parents completed high school, he is confident that his father was the wisest and most insightful person that he has ever met. "I am certain that I had the best family that anyone could imagine, and the greatest parents ever," he said proudly. As a parent of two sons, ages thirty-four and twenty, Person has experienced many challenges. His eldest son, Jared, a former member of the US Navy, experienced a near fatal accident in 2005 while on active duty. "At a certain point, that experience, more than any other, helped me understand what it means to be a father," Person recalled. Although his son sustained burns over his body and face, miraculously, he did not lose his eyesight. Jared proudly obtained his Bachelor's Degree in Film Production in 2016, has completed a few short projects, and is also the father of a ten-year old daughter. His youngest son, Adrian, will begin classes at Tallahassee Community College in Fall 2017. A certified scuba diver, Adrian loves the outdoors and may pursue a career as a park ranger. Person added, "While raising my sons, I was conscious that nothing boosted their self-confidence and self-esteem like unexpected praise. A card of encouragement placed on their pillow or a pat on the back. But, I believe, the most effective way to raise self-esteem, especially in males, is for them to hear you speak highly of them to other people." Being involved as a mentor gives Person the opportunity to see and interact with a variety of children's talents and abilities. It has allowed him the opportunity to participate in the development of those unique talents and abilities. "I love being in the presence of young children and adolescents. It is an experience that never gets old," he said. "I cannot describe the feeling of joy I get when I receive calls from young adults that I've worked with in the past who are now in college or working in their chosen profession." Person travelled to the Florida State House with the Fatherhood Task Force and high school students on a trip sponsored by The Children's Trust and The Children's Movement during Children's Week. 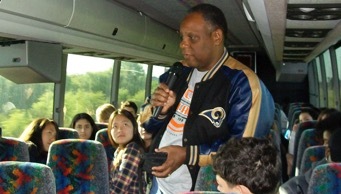 Remembering the trip, he said, "I wanted to use my power as a father to show legislators that fathers' voices matter in determining education and health matters. It was critical to influence their perception of the important role fathers play in children's lives and recognize that I personify a positive father-figure for all children." It's Person's expectation to revive the village, invest time and effort into the village, and make it a living entity. He wants to empower other fathers, grandfathers and male role models by encouraging them to come together often. It is his goal to help them realize that they are now the "village elders" and their past experiences could positively change the life of a young person forever. He believes that at this place in time, he is here to effect change, and play a part in the development of a new generation of young women and men who will make this world into what it should be. An advocacy organization with national influence, the Fatherhood Task Force of South Florida's mission is to facilitate the involvement of Fathers in children's lives by developing and promoting programs for fathers, grandfathers, uncles and male mentors related to all stages of parenthood. Their Fatherhood Reading Squad trains and prepares Fathers from all walks of life to go into classrooms to read, tell stories and mentor Pre-K - 3rd grade students.